02nd March 2015, SINGAPORE – Embark on an adventure of infinite imaging possibilities with the new Nikon D7200, announced today by Nikon Singapore Pte Ltd. 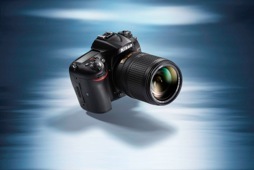 Combined with the renowned reliability of the D7000 series’ pedigree, the D7200 delivers exceptional performance with outstanding technology, innovative imaging solutions, a new seamless connectivity feature, and distinction in function, design and build. The 24.2-megapixel DSLR, coupled with the EXPEED 4 image-processing engine and a Nikon DX-format CMOS sensor delivers an impressive experience of vivid photos and HD videos with lower noise at high ISO, and superior image processing speeds. Outstanding image quality is further assured even in low-light conditions, with the new autofocus (AF) sensor module that is also utilised by the Nikon D750, and an AF detection range down to -3EV. Nikon D7200 takes the journey further by allowing photographers to share adventures in real time via built-in Wi-Fi® connectivity*1 with Near Field Communication (NFC)-support*2, the latter being a first for Nikon DSLRs. “To enrich the Nikon DX experience for photographers, not only does the D7200 render images and videos of rich tonality and sharp details with its standard ISO up to 25600, the camera also provides instant connectivity with its built-in Wi-Fi*1 and new NFC-support*2,” said Hiroaki Ono, General Manager of International Marketing Division Imaging Group, Nikon Singapore Pte Ltd.
technology that was first adopted by the Nikon D750. engine, colours and fine details are accurately captured, ensuring consistent performance whether taking beautiful portraits with natural luminous skin tones or gorgeous cityscapes. Images are clear, sharp, and defined with this 24.2 megapixel shooter, perfect for subjects that require fine detail rendering such as foliage or breath-taking landscapes. An ISO range of 100 to 25600 is achieved with the EXPEED 4 image-processing engine, which also provides improved noise reduction performance, while maintaining image definition at high ISO. 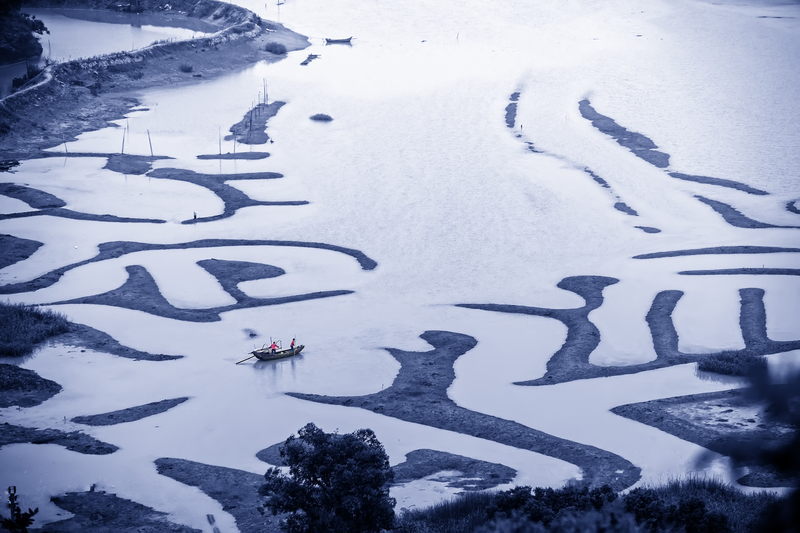 Should photographers wish to shoot monochrome masterpieces, the ISO range can be further extended to Hi BW 1 (equivalent to ISO 51200) and Hi BW 2 (equivalent to ISO 102400). which can be visualised in real time, before shots are captured. on functionality and efficiency, allowing them to pack smarter and maximise space. northern lights or explores the subterranean passageways of a cave. · Made for sharing: Select, send and upload high-quality images on favourite social media platforms seamlessly. The D7200 makes on-the-go connectivity even simpler with its built-in Wi-Fi® capability*1 and NFC-support*2, the latter being a pioneer feature on a Nikon DSLR. Photographers looking to share and upload their shots wherever they are, can now wirelessly transfer images to a smart device through the free Wireless Mobile Utility application*1, available for iOS or Android devices. The built-in Wi-Fi® also enables remote shooting with a smart device, especially when taking photographs from tricky angles while minimising camera shake. · Connected for work and play: Leveraging on the connectivity features, professional photographers can tap on a suite of optional wireless accessories to maximise workflow efficiency. The WR-1/WR-R10/WR-T10 Wireless Remote Controllers enable efficient remote shooting in the studio, while the WT-5A/B/C/D Wireless Transmitters together with a UT-1 Communication Unit provide stable, high-speed data transmission directly to computers and FTP servers. · The continuous shooting champ: Experience greater freedom to create and experiment with majestic shots of beautiful light trails and similar burst mode captures. With an extended buffer capacity, the number of shots recordable during continuous shooting is increased to a magnificent 100 shots*3 in large image size, JPEG fine-format, 18 shots in RAW, 14-bit lossless compressed, and 27 shots in RAW, 12-bit lossless compressed. Furthermore, unlimited number of images can be captured continuously, as long as battery and memory card capacity permit, when using the CH or CL release mode with a shutter speed slower than 4 seconds. breath-taking dusk scenes, with minimal disruption to video and image quality. settings, is conceivable with the EXPEED 4 image-processing engine. The “Flat” Picture Control option also works with movie recording, should photographers require rich gradation for added movie brightness and colour. Mode M provides Auto ISO sensitivity control during filming, allowing an automatic response for the appropriate exposure with sensitivity adjustments only while shutter speed and aperture values remain fixed. This intuitive technology allows photographers to shoot movies in a single shot even when moving from dark to bright areas. sounds and those near the videographer can be recorded, and two-way communication between a subject and the videographer is possible with the usage of headphones or earphones. Stereo sound can also be recorded with the ME-W1 Wireless Microphone when the Stereo Microphone ME-1 (sold separately) is connected to the microphone component. clarity with absolutely minimal chromatic aberration of ghosting. movies. The Capture NX-D also allows photographers to compare images pre-and postediting, adjust exposure, white balance and picture tones, and customise Picture Control for seamless end-to-end image management. store. Wireless transfer of videos is available only on the Android OS. 2 NFC-compatible Android™ smartphones and tablets (Android 4.0 or later). sensitivity setting of ISO 100 is applied. available as of March 2, 2015. Statement based on Nikon research. ED VR lens, or AF-S DX 18-140mm f/3.5-5.6G ED VR lens, or with the body-only configuration. Launch News on COOLPIX P900 and ViewNX-i software after the jump. heights. Fusing innovative technology and exceptional design, the latest COOLPIX model from Nikon is engineered for superior telephoto performance with 83x optical zoom. – Experience the rush of ultra high-power zoom photography, and enjoy the action up close with the new COOLPIX P900, announced today by Nikon Singapore Pte Ltd.
subjects, from plane spotting to bird watching and vast landscapes in full gorgeous detail. engine, superior image quality and vibrant Full HD video are assured. tandem to detect and calculate vibration intensity and frequency. Continuous H, for the largest image size at approximately 7 fps (up to 7 frames). have been incorporated, enabling simple focusing and dedicated settings for capturing the best shots of these challenging subjects and helping users take full advantage of the P900’s superior zoom power. various intervals, simply with a selection of a preferred shooting scene. websites, for exciting adventures and memories to be shared with the world. greater accuracy, recording information, such as longitude and latitude into pictures. locations are accurately matched and memorably preserved. wide-viewing-angle, vari-angle TFT LCD monitor. A vari-angle system grants the freedom to shoot from various angles for flexible and creative composition when framing shots, while the RGBW pixel alignment provides superior visibility even under direct sunlight and maintains low power consumption. The Nikon COOLPIX P900 will be available by end March 2015. 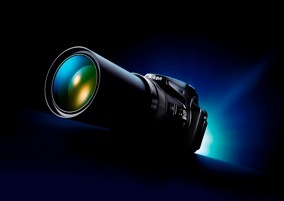 For more information on the new COOLPIX P900 and other Nikon products, please visit http://www.nikon.com.sg. compatible with other Nikon software applications, on March 17, 2015.
switch between workspaces, and the addition of an Output Toolbar that intuitively displays convenient functions. 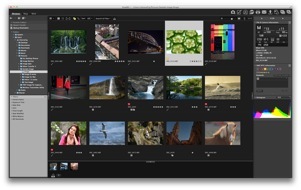 ViewNX-i serves as the launch pad for RAW development and still-image adjustment using Capture NX-D, and movie editing using ViewNX-Movie Editor. With Capture NX-D, Nikon’s photofinishing software, all advanced adjustment functions available with the application can be used to develop RAW images and edit still images via ViewNX-i. Further complementing the ViewNX-i functionality is the ViewNX-Movie Editor, a bundled movie-editing software that provides users of all proficiency levels in movie-editing with the ability to easily convert, create and edit movies. The enhanced mutual collaboration between these applications greatly expands the ways in which users can now enjoy their photos and movies after they are recorded. * Mac is a trademark or registered trademark of Apple Inc. in the U.S. and other countries. the part of the manufacture. This entry was posted in Brand: Nikon, Featured Photography Merchants, Photography Articles & Videos and tagged Coolpix, D7200, Nikon, P900, ViewNX-i. Bookmark the permalink.